Situated just outside of Schertz, Cibolo, Selma and Converse, there’s no shortage of off-base housing when you’re stationed at Randolph AFB. Gone are the days of living on base, in old, run-down buildings, and instead, you get access to some of the most in-demand neighborhoods in San Antonio – and maybe even all of Texas. Located in nearby Cibolo, this 2-bedroom, 1-bath boasts more than 1,600 square feet and comes in way below the average home price for the area. At just $129,900, it’s a true steal in the local marketplace. Amenities include a separate dining room, an eat-in kitchen with breakfast bar, an office/study, a screened porch and a full suite of appliances, including a refrigerator, washer and dryer. The home is also located within the highly rated Schertz-Cibolo-Universal City ISD, so local school options are top-notch. Not yet ready to buy? This cute 1-bedroom, 1-bath duplex is available for just $645 a month. Located just outside the base in nearby Schertz, it boasts 940 square feet, an upstairs loft and great SCUCISD schools. There’s even a game room area. Another great Schertz property, this one’s pretty expansive, complete with 3 bedrooms, 2 full baths and more than 2,400 square feet in total. It also boasts wood flooring, ceramic tile and a spacious family room that’s perfect for entertaining. The kitchen is the true standout though; with its double dining area, recessed lighting, ceiling pot rack and granite countertops, even the most amateur of chefs will love cooking in the space. The master bedroom offers backyard access with private French doors, and a large covered patio makes family barbecues a breeze. Situated just a few minutes down the road in Cibolo, this 4-bedroom, 2.5-bath property is a true sight to be seen. With more than 2,600 sqaure feet, two stories, a formal dining room and an office, there’s no shortage of space on this property. Top features include a wood burning fireplace, brand new granite countertops, spacious bedrooms and an expansive yard just waiting for a pool or treehouse. A great find in the Schertz market, this home offers space and amenities galore. With 3 bedrooms, 2.5 baths and over 2,100 square feet, it’s as big as it is beautiful. All new carpet lines the secondary bedrooms and loft area, while ceramic tile, fresh paint and a solid oak staircase accent the bottom floor. The recently updated master bath includes beautiful touches like a frameless glass shower, new light fixtures and upgraded cabinetry. The roof and HVAC duct work were recently re-done as well. Another great rental option, this 3-bedroom, 2-bath Cibolo home offers more than 1,600 square feet of space, an open floor plan and a large living area. The open kitchen boasts an island and eat-in breakfast nook, making it easy to prep, cook and entertain all in one. In the master, you’ll find a spacious walk-in closet and an expansive master bath, complete with separate shower, tub and a double vanity. 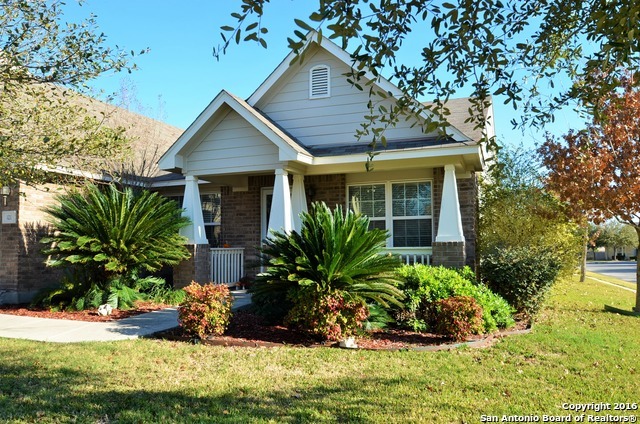 Cibolo is just brimming with great properties for Randolph personnel, like this gorgeous 4 bedroom, 3 bath property. With two stories, 2,700 square feet and a corner lot, there’s room to grow in this home. Upgrades line the property, including things like laminate wood and tile flooring, granite countertops, a retro-style black and white backsplash, plantation shutters and more. The large backyard is something to write home about, too; it boasts mature trees, a built-in sprinkler system and a storage shed. At more than 2,000 square feet, this corner lot property’s perfect for any sized Randolph household. With three bedrooms, a spacious master bath and an open-concept island kitchen, the space abounds in this home. An oversized, covered back patio makes the perfect place for entertaining, eating or just relaxing, and a well maintained, landscaped front yard guarantees immediate curb appeal. Want to learn more about any of these properties or see one of them in person? Need more recommendations for housing near Randolph AFB? Contact The Claus Team today. Our expert agents are here to help.